Objectives. 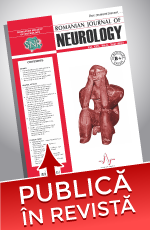 The identification of the types, characteristics and correlations of epileptic seizure triggers in children with epilepsy from Romania. Material and methods. 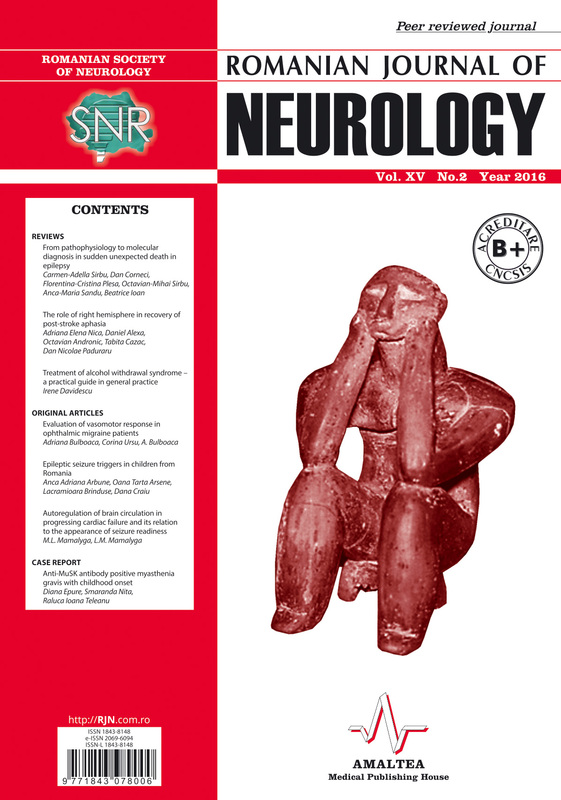 Transversal observational study on 278 children with epilepsy using the questionnaire method, containing questions regarding seizure characteristics, demographical information and medical history. Results. The lot characteristics were average age 9.74 years; 57.2% males; 19.4% positive epilepsy familiy history; 48.2% late psychomotor development; 54% deficitary neuropsychological development; 25.2% treatment resistant epilepsies; 59.7% of children had focal epileptic seizures, 35.3% had generalized. Average number of triggering factors was 3 and 20.1% of children had no seizure trigger. The most frequently reported factors were: sleep deprivation 39.57%, anxiety 23%, sleep disturbances 22.66%, fever 20.50%, anger 19%, light stimulation 17.27%, crying 16.19%, interrupting antiepileptic medication administration 14.39%, watching too much TV 14.39%, physical fatigue 12.59%. The number of seizure triggers can be mathematically modelled according to age and treatment resistance. Unresponsiveness to treatment of the epilepsy has a few predictors: timing of the seizure ocurrence, imaging alterations, late psychomotor development, IQ, the number of seizure triggering factors. Conclusions. There was at least one seizure trigger identified in 79.9% of children with epilepsy. The most frequent reported trigger was sleep deprivation. The number of seizure triggers can be estimated through mathematical modelling. Treatment resistance of epielptic seizures has more predicting factors.